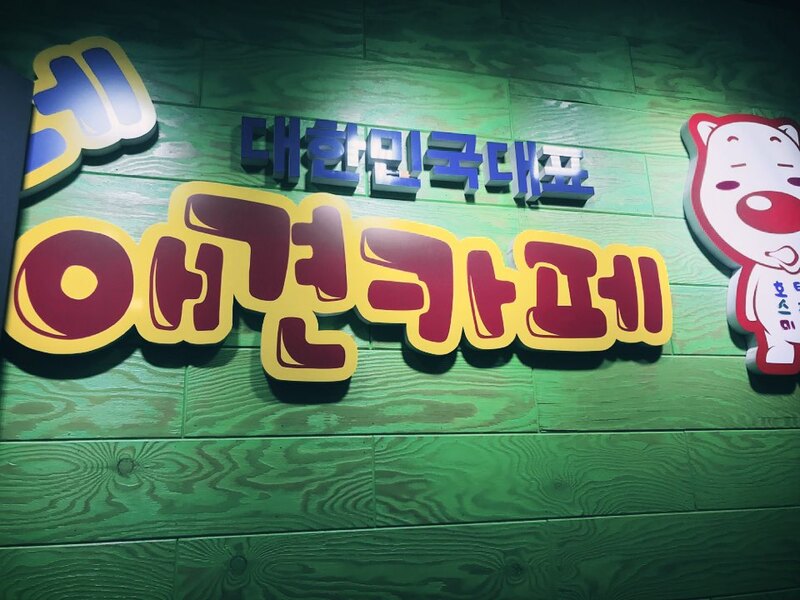 Since moving to Korea I haven’t had the chance to visit many themed cafes. 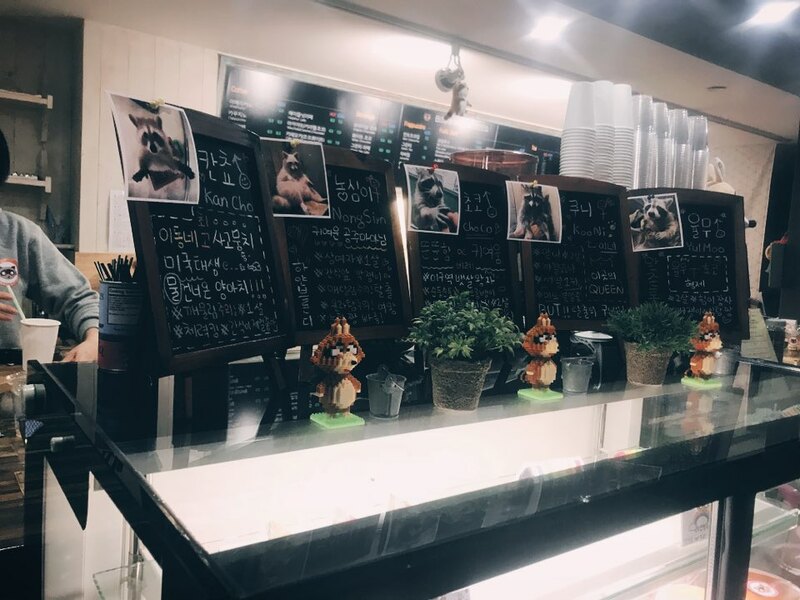 So I thought that this week, I should take a trip to the area surrounding Kyungsung University and check out the famous dog and raccoon cafes! 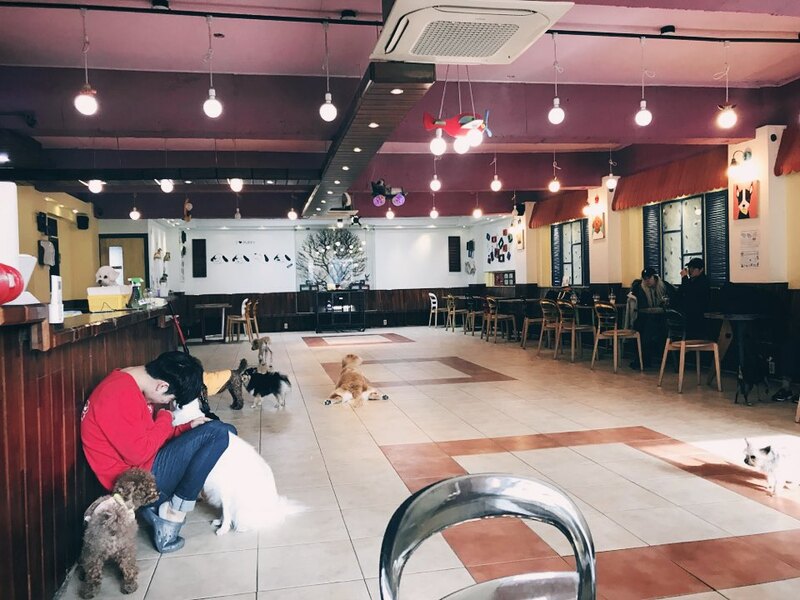 Our first stop was Deoksune, the dog café. 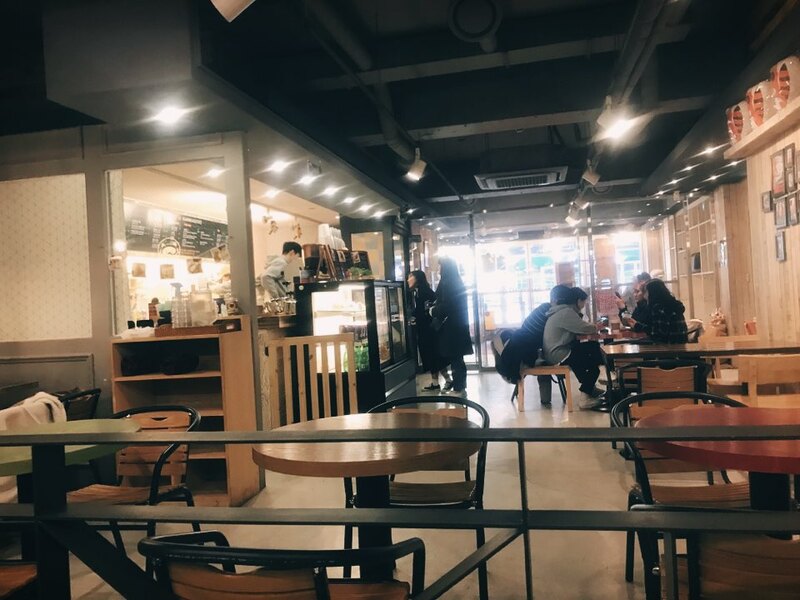 The café is located across the road from Exit 3 of Kyungsung University station and is on the 4th floor of the building. It is opened from midday until 10.30pm every day! Upon entering the café you will be asked to buy a drink (this also serves as your entry fee to the café.) Drinks cost 8,000won and each person that enters is required to buy at least one drink. Also on sale at the counter is little bags of dog treats! There is no time limit and you are not required to buy more than one drink. When I visited we stayed for about 2 hours and were never made to feel rushed or uncomfortable! The café is also a popular hangout spot for high school students so I suggest trying to go during the week if you want a more relaxed time there. This is also where the treats come in useful, the dogs tend to favour the customers with treats. 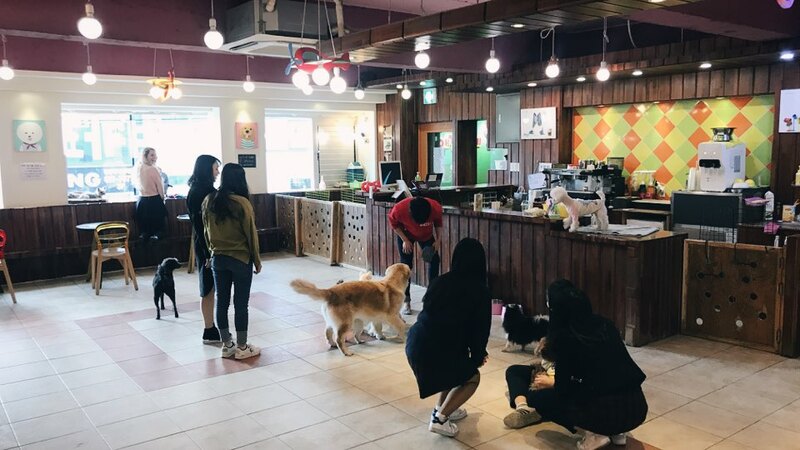 The first thing I noticed after being in the café for a while is how well the dogs are treated and how much they love the staff members there. It’s very apparent that the dogs are really well looked after and that they are happy! 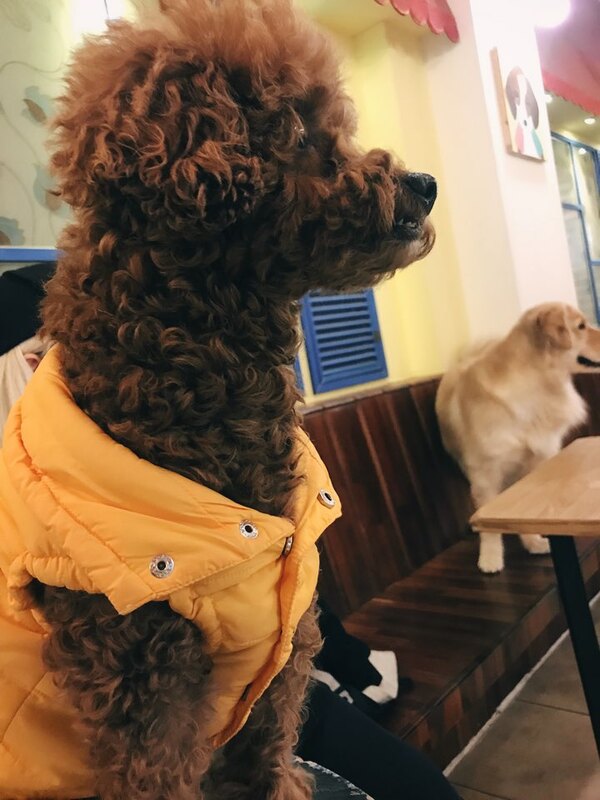 All of the dogs in the café are friendly and playful, some of them take a little bit of time to warm up to new people but they are all very well behaved and there was absolutely no trouble when we were there. The café is a nice, relaxing way to spend an afternoon, if you have time, I highly suggest to check it out! 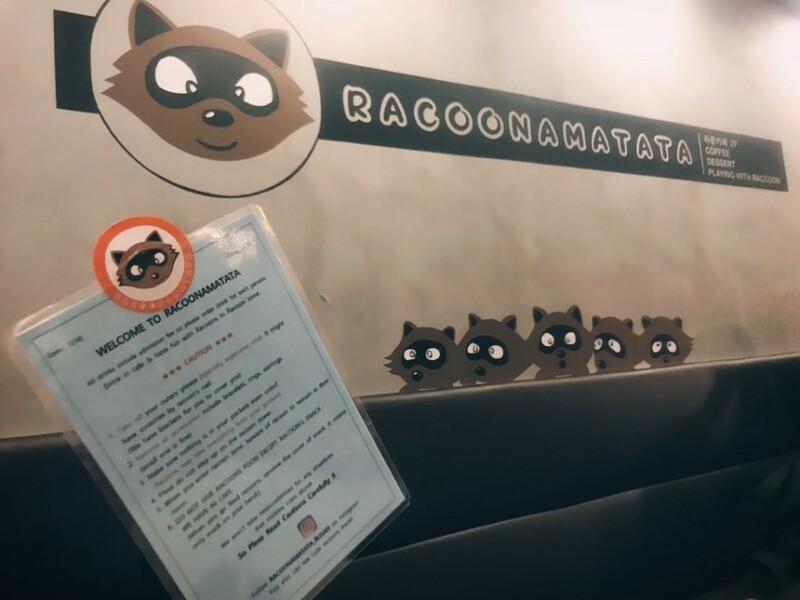 Our next stop was Busan’s only raccoon café – Racoonamatata! I first visited this café about 2 years ago when it was first opened and decided to check it out again this week. 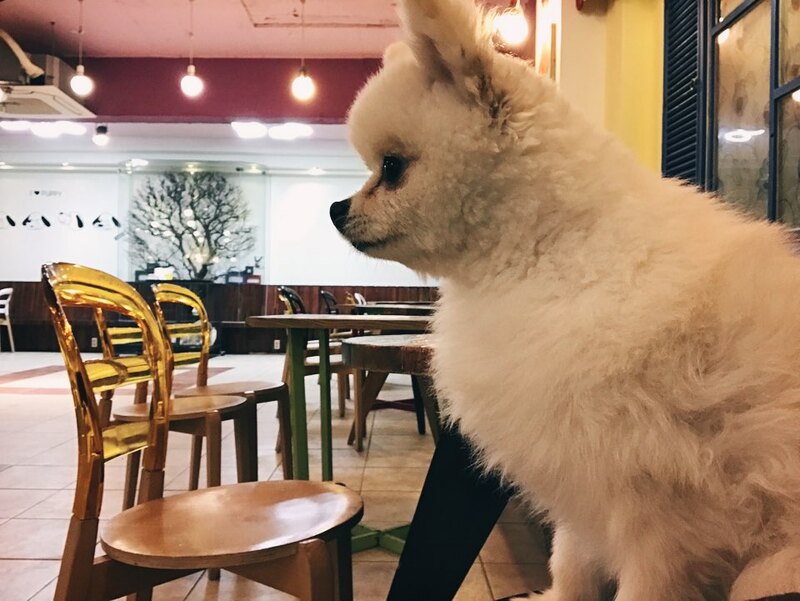 The café is only a short walk from the previously mentioned dog café and truly is one of the most unique experiences I’ve had since moving here. This café is also opened from midday until 10.30pm every day. 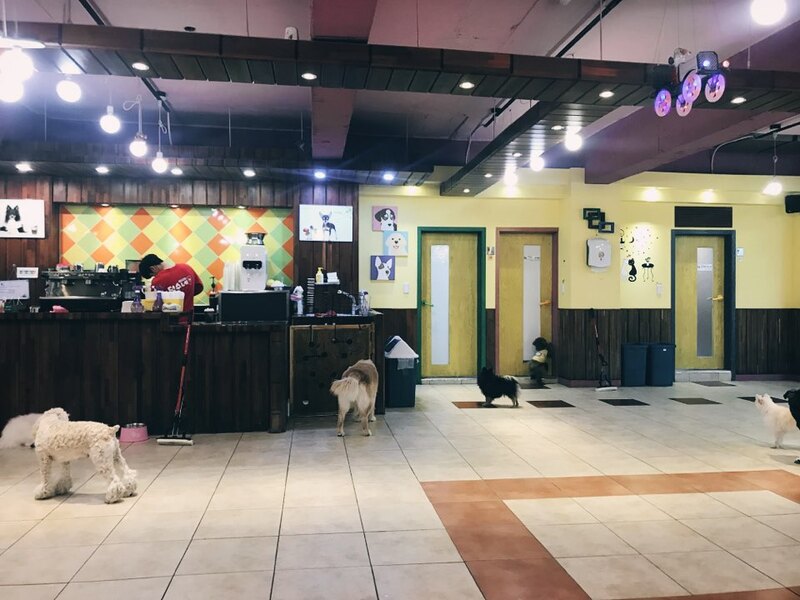 Like the dog café, each person that enters is required to buy a drink or a snack. 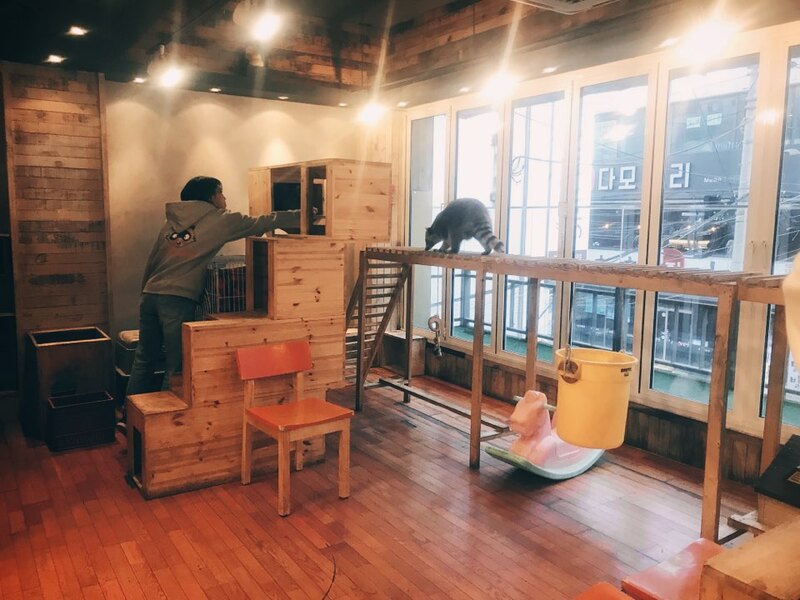 The prices are similar to the dog café too and they also sell snacks for the raccoons (although, sometimes the snacks are given for free if it is a quiet day.) At the counter you’ll see little profiles for each raccoon which displays their name and some facts about them. The staff at the café are lovely and will be more than happy to translate the profiles for you! Currently, at the time of writing this post, there are 5 raccoons in the café. Most of them are generally well behaved but as they are not domesticated animals they can sometimes scratch and bite. There will always be a member of staff in the room with you and the raccoons to make sure nothing goes wrong. [photo 11] The raccoons will generally keep to themselves and they don’t seem to mind having their photo taken. 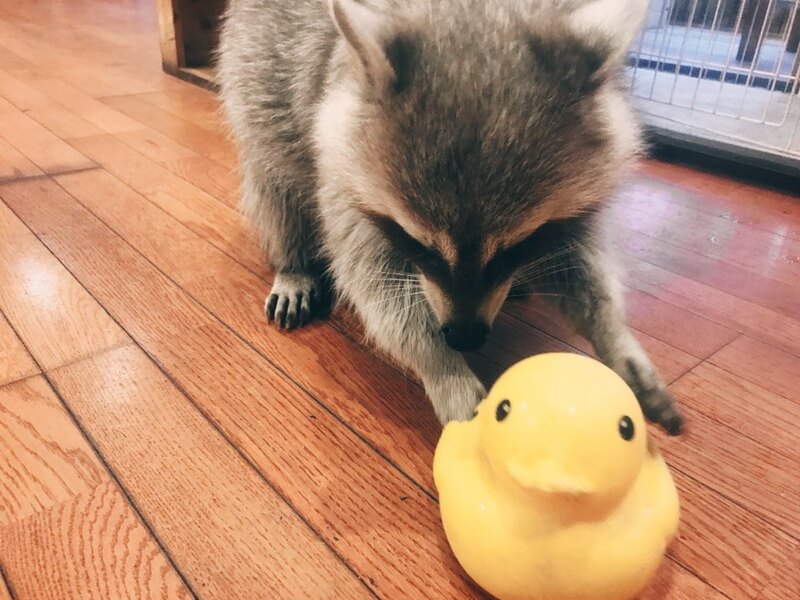 Like the dog café, the raccoons don’t seem distressed at all and the staff are always feeding them and making sure they are okay. If you’re looking for something a bit different and unique, this place is definitely for you!